Peacelights is an organization dedicated to promoting both inner and outer peace through an integrated approach that joins in-depth emotional education with vibrant social activism. It is a movement of like-minded people dedicated to ending the darkness by turning on their personal light of peace. A peacelight is a person who takes responsibility for shining his or her individual light of peace into the world. This expression may be big or small. It can take any shape. It can flicker on and off. You don't need to be Ghandi or Martin Luther King to be a peacelight. You simply need to be someone who wants peace and is willing to work for it. The 4 Waves is the way we organize this work. In our present culture, too many of us say we want peace above all else, but so few seem to be willing to work for it. This needs to change if we want a more peaceful world. Now is the time for each of us to grow up and become a beacon of peace. Peace is not only a right, it is also a responsibility. We take on this responsibility by working on the 4 Waves of Peacelights which are interdependent but affect each other on many levels. Someone suffering from a relationship breakup, for example, might find that his wave of creativity is stifled. Someone who is blocked creatively may be unable to find her inner peace due to a job that is not fulfilling. Perhaps the spark is gone. 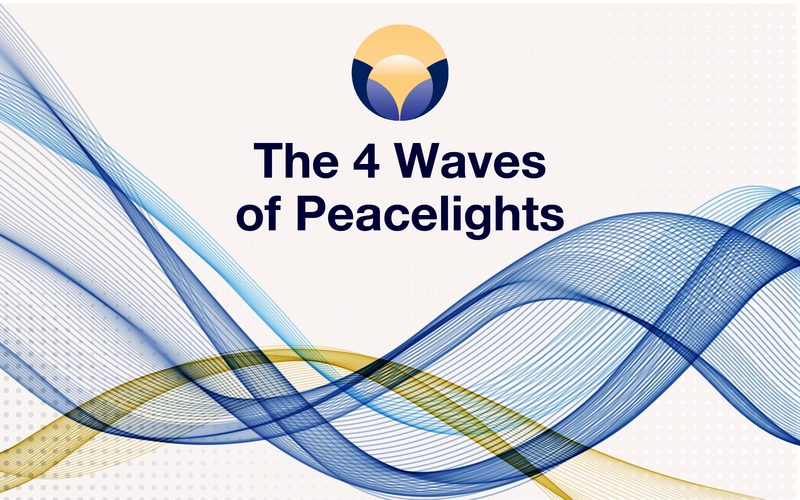 The work of a peacelight is to utilize the Four Waves to heal heartbreak, free up creativity, and restore wholeness to our relationships. Becoming whole within ourselves, and shining our light of peace for the benefit of others, will feed each other. Here are the 4 Waves that are simultaneously interconnected and autonomous. When we practice them, we can become fully self-expressed as a peacelight. 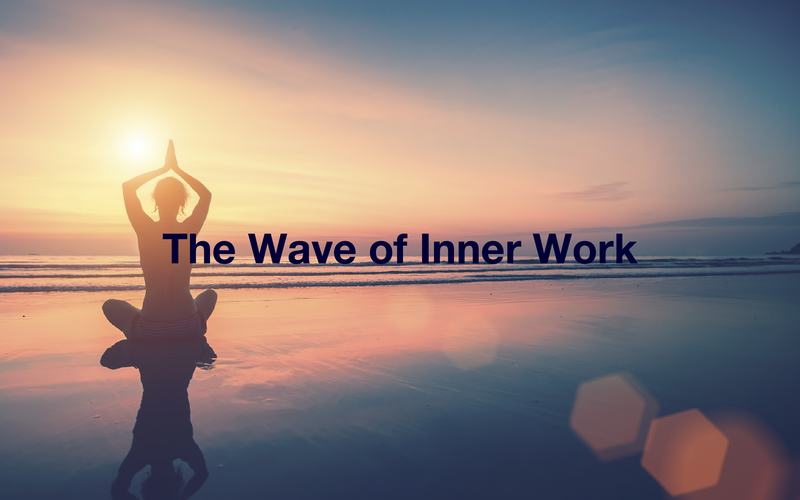 The Wave of Inner Work, is at the core of our work as peacelights. Meditation and mindfulness practiced on a daily basis help us to know ourselves and stay centered. But there are parts of ourselves that we cannot see, even in meditation. Groundbreaking twentieth century psychologist, Carl Jung, calls those parts our shadow. Our shadow makes us feel wrong and ashamed. Instead of owning it and accepting that we are all imperfect human beings, we repress it and project it onto someone else. For example, if we feel ashamed of our greed, it becomes our shadow. When we see it in another, we become upset, angry, and blaming. We might see that other person as evil, and the conflict has begun. When a conflict seems unsolvable, the shadow, the disowned parts of ourselves, is often at the root of the conflict. Along with the personal shadow, we have cultural shadows as well, the parts of us that our culture denies and makes us feel ashamed of. Projected on someone else, we see their gender, race, country, or religion as bad. If a man fears his emotions, he may accuse the woman in his life as being irrational. If a Christian refuses to embrace their history of war and persecution, they may view all Muslims as evil. Such projections lock both sides into opposing roles and create a kind of trance that can blind even the most evolved and tolerant person. The bottom line is that projections feed conflicts, making it impossible to see another person’s point of view. In order to heal these kinds of false perceptions, reclaiming a projection can dissolve the conflict. Practicing the Wave of Inner Work will train you to recognize your shadow and dissolve your conflicts. Becoming conscious of your shadow and integrating it is the foundation of finding peace in yourself and the world. Our sexual essence is made up of two interconnected and inseparable halves, the Feminine and the Masculine. Each of us, man and woman alike, has both energies inside of us and we can never separate them. Most often, men have more of a masculine essence while most women have more of a feminine essence. For thousands of years, our culture has favored the masculine until we have lost the knowing of the feminine within us. While we intuit and feel our feminine essence, we usually judge it by masculine standards, which has become a norm in our culture. Some think that revaluing the feminine is the key to world peace, and to the survival of our planet. To define masculine and feminine is difficult because they are so interrelated. There are some qualities we know from our sexuality and our cultural norms. Masculinity can be defined as linear, directive, competitive, goal-driven, achievement-oriented, and hierarchical. Femininity can de defined as receptive, magnetic, fluid, cyclical, flowing and connective. We need our masculine and feminine. Sadly, both essences have been devalued. Femininity has been repressed for millenniums. Since the sixties, we have also made the masculine wrong. Watered down masculinity and repressed feminity have now become the norm. When we do the practices of this wave, we free the feminine and masculine inside us. We express ourselves in our essence and make room for others to do the same. To know and honor the feminine and masculine in ourselves and the world, is central to the work of a peacelight. 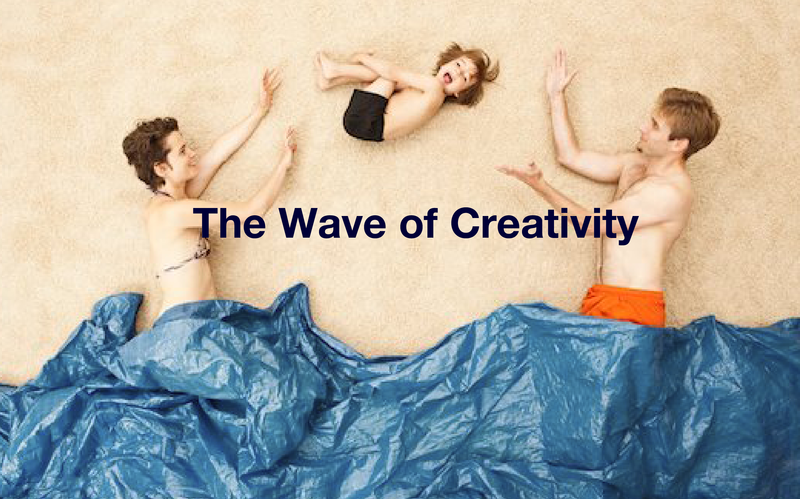 Creativity is our birthright. When we express it freely, we light up. When we repress it, we dim the light of our souls and deprive the world of our gifts. The Wave of Creative Expression is the outer, authentic, innocent expression of our peacelight. Have you thought about the form of your peacelight? Do you know how your most natural uncensored creative expression looks? Hindu spiritual leader and Guru Amma, a renowned humanitarian from India, uses hugging as her peacelight. She hugs millions of people who come to see her and when people ask her why she does this, she says it is just natural for her. “Like the river flows, Amma hugs,” she tells us. And while she hugs hundreds of thousands of people and offers them personal advice, she also runs multi-million dollar charitable organizations. Starting with her simple act of hugging, she helps and inspires thousands who in turn help others. When we find our personal creative form of peacelight, our lives begin to flow. We wake up fresh, we get into motion, and we feel uplifted, which in turn touches and moves those around us. 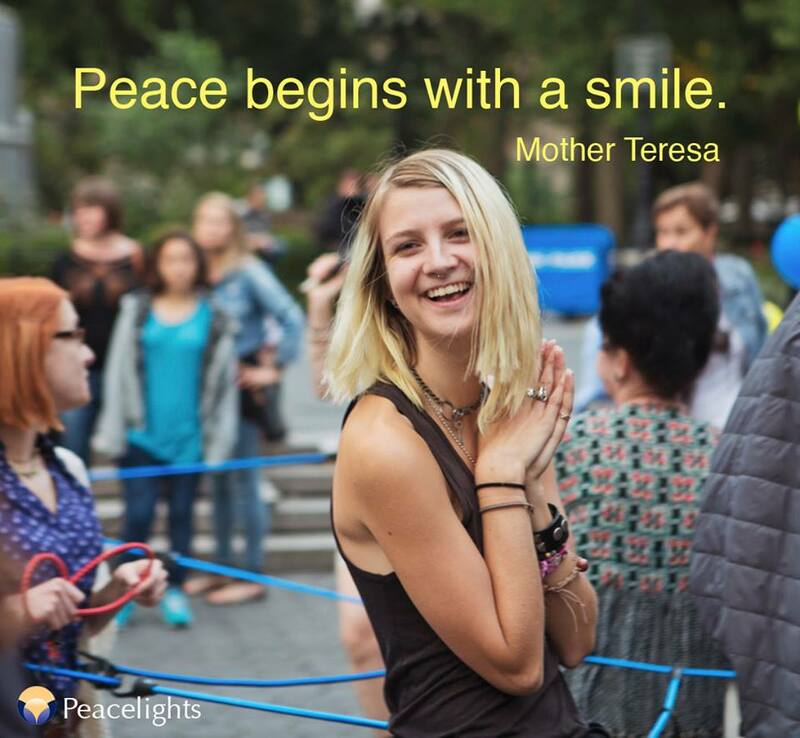 At Peacelights, we create street happenings. With the background of great music, we physically join ourselves to each other with colorful bungee cords, bringing people face to face in a dynamic way. We look each other in the eye and say, “I see you.” In this way, we activate our peacelight and that of onlookers and participants alike. Since our relationships define who we are, the quality of our relationships can make or break us. No matter how high our self-esteem, if we are in toxic relationships, we will feel discouraged and depressed. On the other hand, empowering relationships inspire us, turn us on, and help us feel like we can do anything we choose. And so, our closest people influence our peacelight. 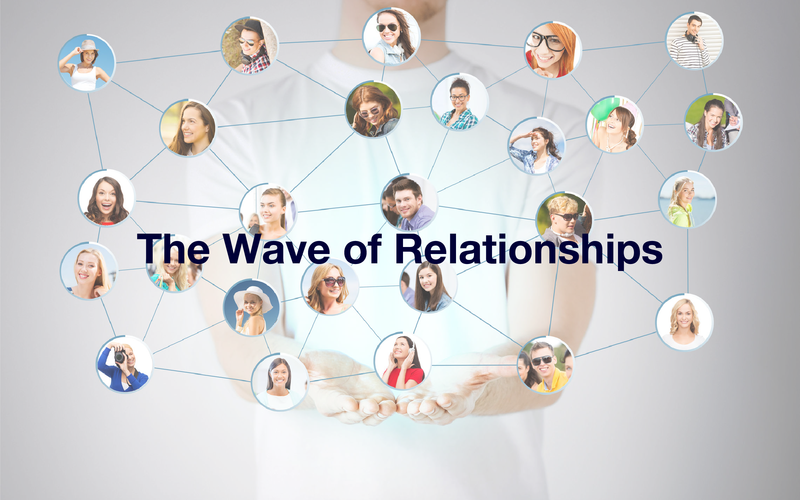 A relationship map shows us how we interact with those around us. We see how each thing we do and each choice we make influences others in our network. In other words, the maps we follow determine the course of our lives: where we go, who we become, and what we achieve or fail to achieve. Just like geographical maps, relationship maps have fixed destinations that can lead to ease and joy or discomfort and unhappiness. Unlike geographical maps, we don't always know we’re following them. We inherit these maps from our culture, our families, and our social environments. When we become fixed in very rigid roles in these maps, we become imprisoned, trapped between how our role defines us and who we really are. In this way, we are preventing ourselves from fulfilling our potential. When we practice the wave of remapping, we are choosing to rearrange our network of relationships in a way that is congruent with our real inner selves. We are bringing about breakthrough experiences so we can achieve harmony with our loved ones. We are learning to express our deepest needs, listen to those of others, and allow our lives to reflect the way we have always yearned to live. In this way, The Wave of Relationships fuels our peacelight by giving us the energy and stimulating our desire to give back to our communities. Let’s use this remapping to break free from our negative patterns. Let's reshape our difficult and challenging relationship maps into flexible, mutually supportive ones, as we become powerful agents of change in our world. We will be publishing a monthly article that digs deeper into one of the waves. We hope you find this material useful and inspiring. J’ai beaucoup aimé cet article qui explique très bien le symbole des vagues, c’est beau et intelligent. I think that you are touching on deep subjects with a clear and common sense approach. I like what I see. Go for it!